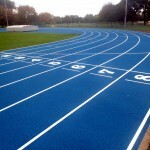 When building any type of athletics facility such as a running track or long jump run up and pit, the athletics track dimensions depend entirely on the specification for each individual project as the surface could be built as a full sized running track, a long jump/ triple jump runway or even a high jump fan area. 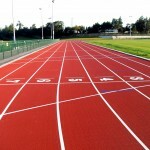 Of course these will all have completely different athletics track dimensions and the sizes can be tailored to fit with the space you have available. 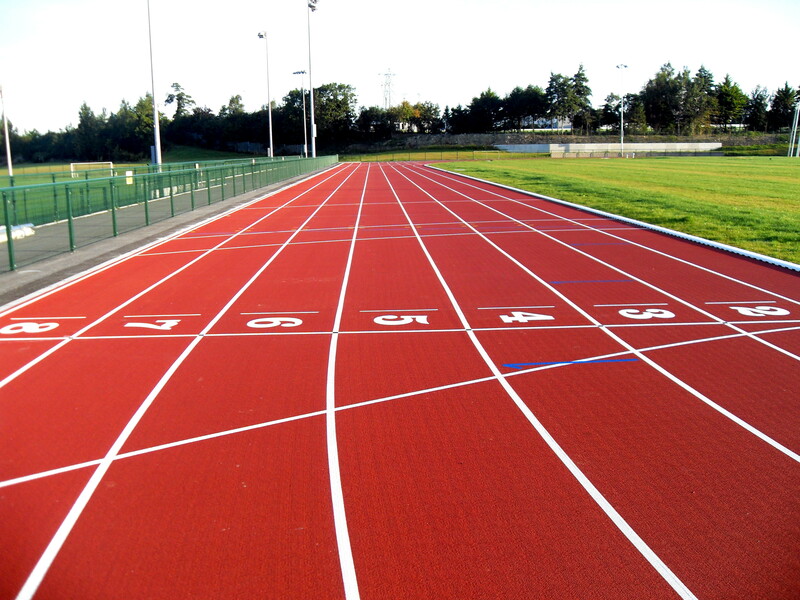 If you’re looking to install a full sized facility for professional training and competitive events, we would recommend that the athletics track dimensions stick to the standard sizes set our by athletics governing bodies such as IAAF. 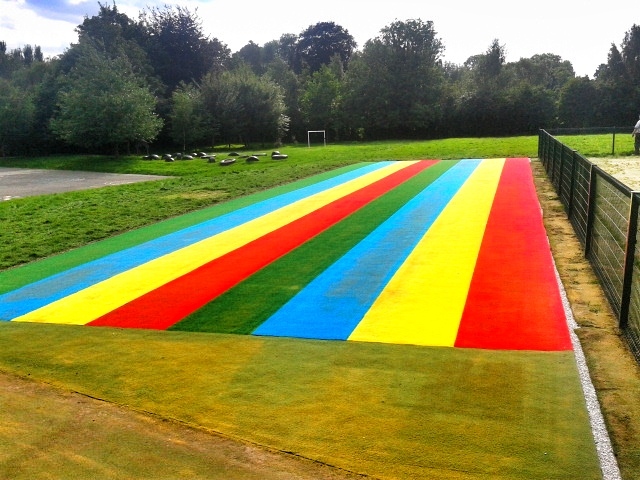 This will ensure that the students or athletes using the facility are training on a top quality surface which is as similar as possible to a professional running track, triple jump runway, long jump surface or high jump area. 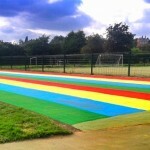 These facilities which are used in competitions and events will often be installed in polymeric rubber surfacing because it provides an ideal surface for a range of different events. 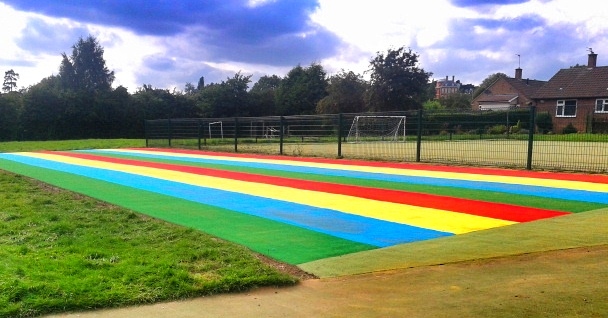 Polymeric EPDM rubber can be installed in a range of bright colours with line markings painted in contrasting colours to turn the surface into a multi purpose facility. 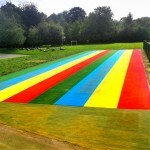 For a facility which is going to be used for recreational use, perhaps in a primary school, needlepunch synthetic turf is a great alternative to the polymeric surfaces because it’s a lot softer. This helps to protect kids during lessons and after school sports clubs so they don’t get injured from trips and falls like they might on the harder rubber surface. 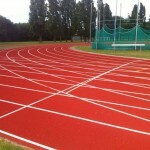 These recreational needlepunch synthetic tracks can be installed in a range of athletics track dimensions to suit the area size that you have available. 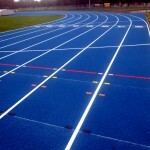 Because the facility will mostly be for fun rather than competitions, it is not necessary to have a full sized track installed if you don’t have the space. This can also help you to save money on your project if you need to stick within a budget because downsizing on the design of the facility will cut costs to your organisation. The athletics track dimensions for each project can also vary dependent on who is going to be using the facility once it’s been built. 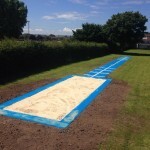 For example a long jump facility which is only used by young children at a primary school would not need to be as big as one which is used by adults as younger children aren’t likely to jump as far. These variables all have an effect on the overall cost and design of each athletics surface installation. 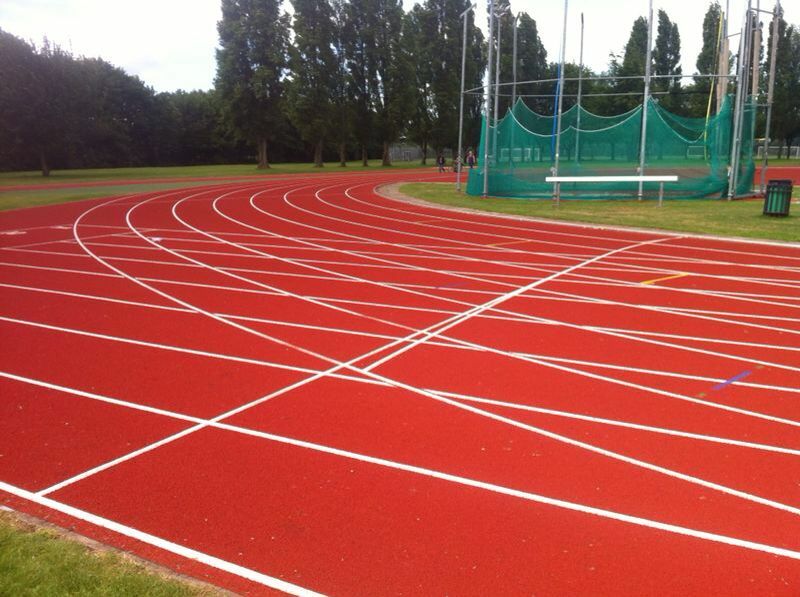 Please get in touch with us via out contact form if you have any questions or if you’d like to send us an enquiry for athletics track construction or maintenance.